When you sign in to the OSF, you land on your OSF dashboard. 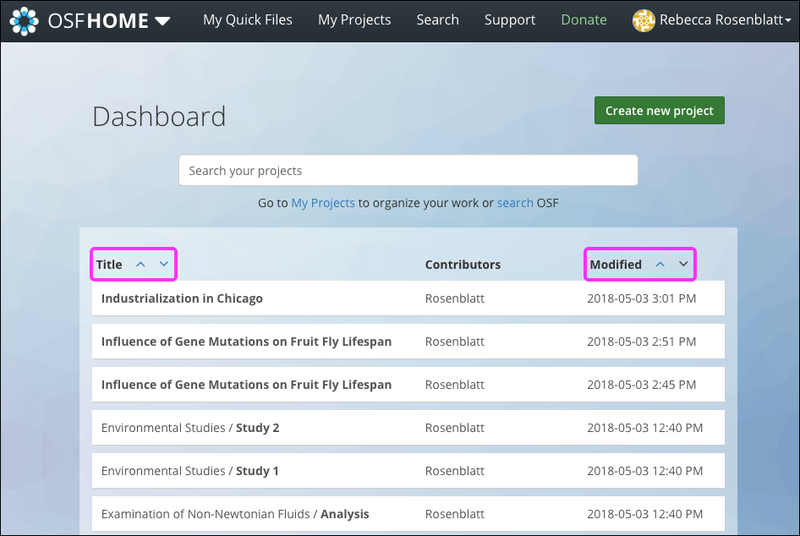 The dashboard allows you to quickly create and access your projects, discover others' public projects, and navigate to other OSF features. The dashboard displays your 10 most recently updated projects and components. 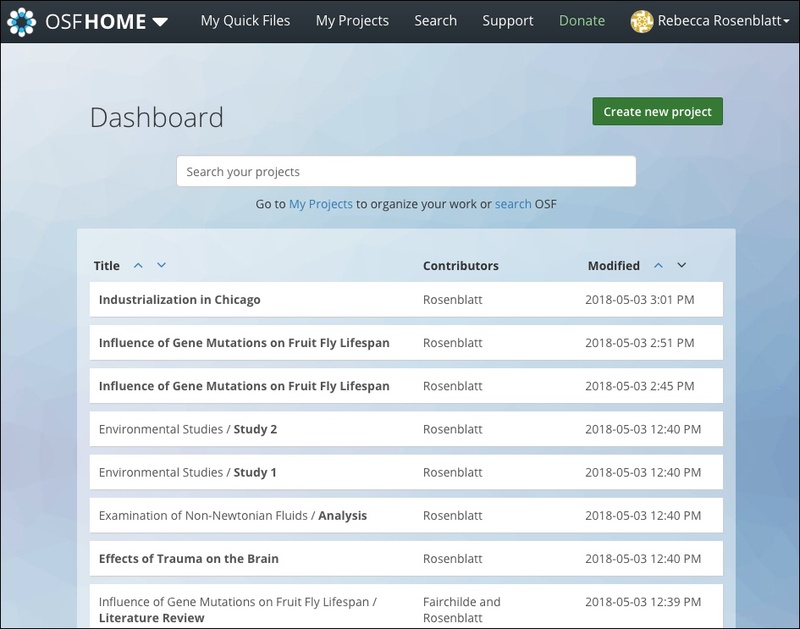 You can click the down arrow to see a longer list of your projects. Click on a project or component to go to its "Overview" page. To search through your projects, type into the textbox at the top of the page. The results will automatically appear below the textbox. To filter by project and component "title," click the up or down arrows to the right of "Title." To filter by "date last modified," click the up or down arrows to the right of "Modified." Below your list of projects, you can browse institutions that are affiliated with the OSF. Hover over an institutional logo to see the institution's name in a tooltip. Click on an institution to go to its OSF wiki. 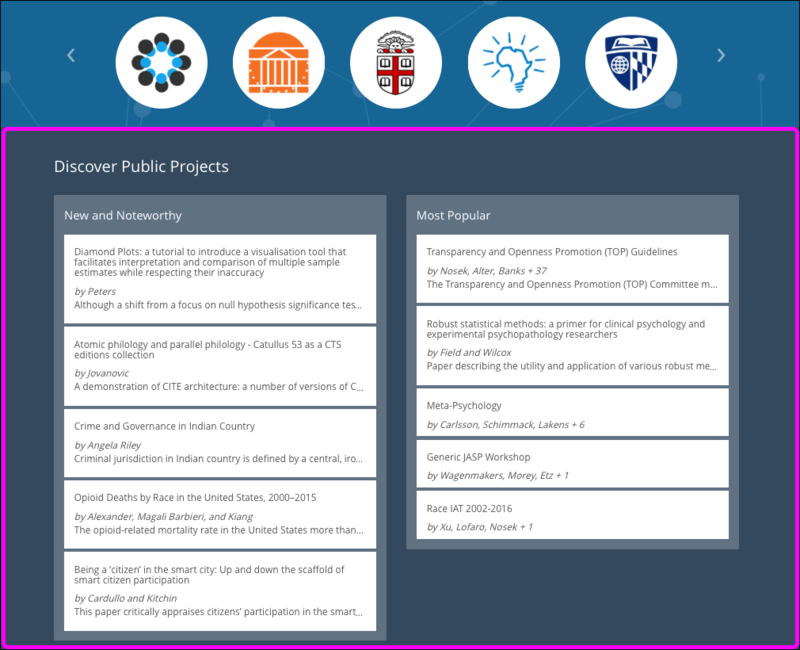 Below the list of institutions, you can browse newly added and popular public projects. Here you can search for research related to your work, find projects to build on, and discover new collaborators. 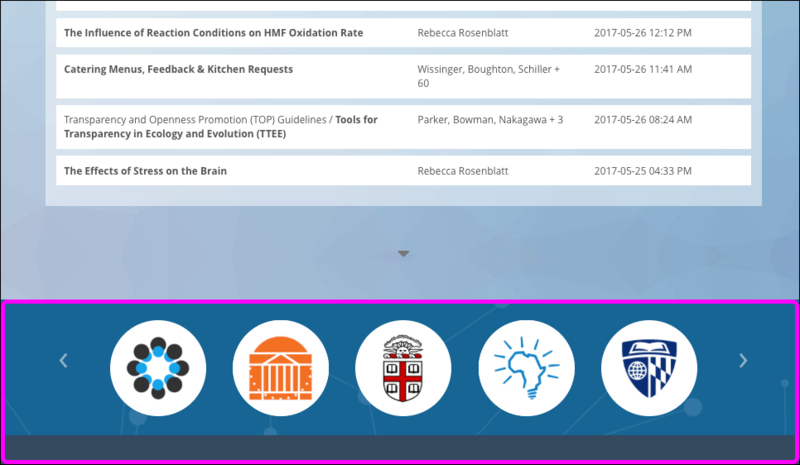 When you scroll to the bottom of the dashboard, you land on the OSF Meetings and Preprints sections that, when clicked, take you to their respective landing pages. You can learn more about OSF for Meetings and preprints at these help guides: OSF Meetings and Preprints.